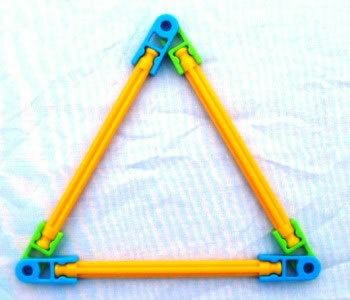 The triangles in activity 3 are called right-angled triangles, because they all include one "right-angle". 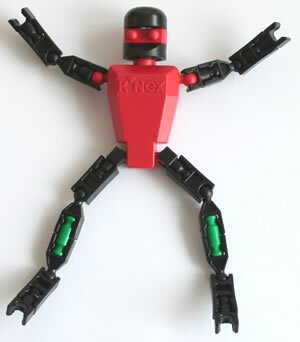 A right-angle is 90°. 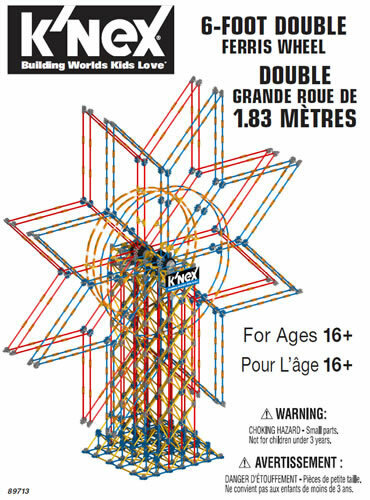 Both the other angles in each KNEX triangle above are 45°. As you can see, the three angles (90°, 45° and 45°) add up to 180°, and indeed the three angles of any triangle always add up to 180°. 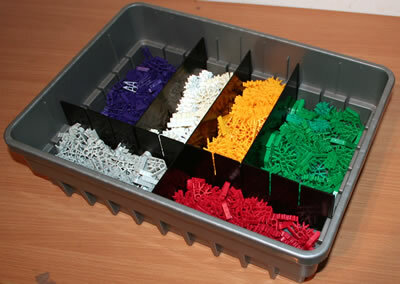 As well as making right-angled triangles using the standard KNEX connectors, you can also use hinges to make triangles. Try the one below.